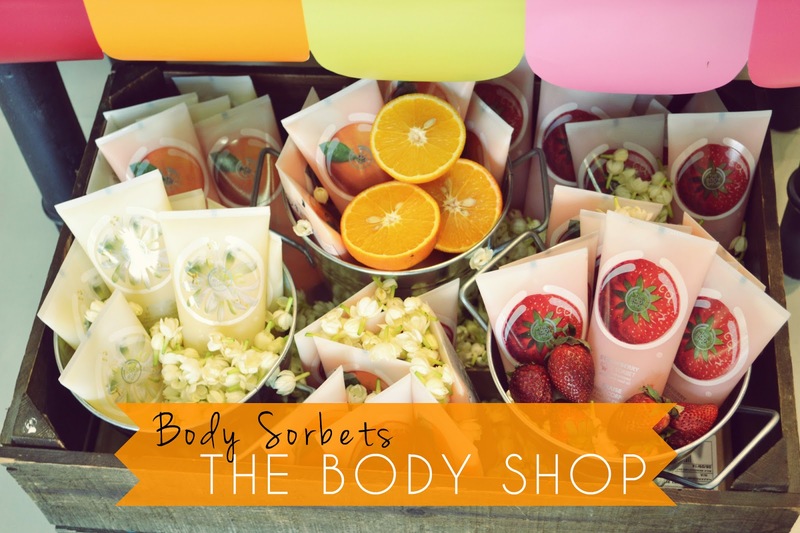 The Body Shop recently launched an amazing Summer staple- the body sorbets in fresh, fruity fragrances. If you have an oily skin like me, you know how unpleasant it feels to apply moisturizers in summers. But then, you need to keep your skin hydrated, right? Is there another way? This is where the non-sticky, refreshing, body sorbets from The Body Shop come to the rescue. There are two sorbet formulations. Firstly, there's the newly introduced body sorbet that comes in fruity fragrances of Satsuma and Strawberry, and a flowery variant Moringa with a divine whiff of Mogra. Secondly, there's the Vitamin E Aqua Boost Sorbet for the face. 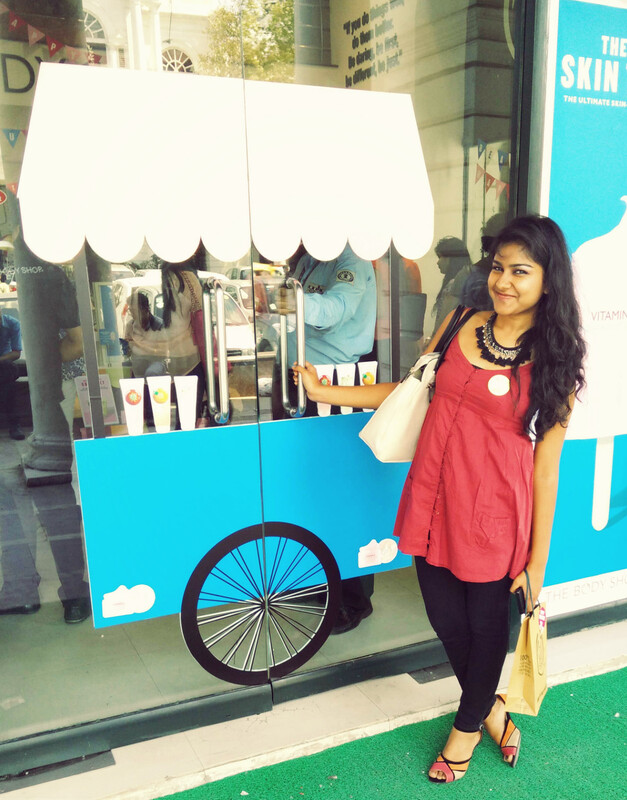 The products were promoted at a fun Summer Event at The Body Shop's Connaught Place store over pretty food, makeover sessions, quizzes and beauty consultations. The formula is basically just part gel, part water and doesn't feel even a little bit greasy. It instantly gets absorbed and leaves a matte, but moisturized skin we all crave for in summers. What makes it even more perfect for summers is the cooling effect the sorbet leaves on the skin. The fluffy, foam like sorbet disappears in a jiffy, leaving a soothed skin. The texture is very light and watery and spreads evenly across the skin easily. Tip: Try mixing a bit of the Vitamin E face sorbet with a drop of foundation. It will help the foundation spread nice and even across your face and won't add any oil to the skin. I currently use the Moringa Body Sorbet and the Vitamin E Aqua Boost for face on a daily basis and it feels like I'm pampering my skin. Other than the easy-to-apply non-greasy formula, I simply love the fragrance. The Moringa sorbet smells of fresh, garden-picked mogras and it just makes my mornings. The Vitamin E face sorbet has slightly strong grapefruit-like fragrance which is equally pleasant. The body sorbets come in somewhat hefty tubes which are not too handy to carry. Same goes for the glass container of the face sorbet which adds a lot of weight to your handbag if you decide to carry it. So, as much as I love the pretty, pastel packaging, it is not very travel friendly. All in all it is a great product, a little expensive but totally worth it. It keeps your skin hydrated for a good 10-12 hours. However, if you have extremely dry skin, the sorbet might not be enough to quench your skin's thirst in the scorching summer. Both the products, however, are a blessing for those who have oily skin.